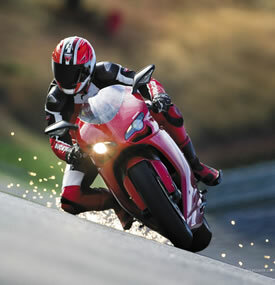 Install a GPS Motorcycle Tracking Device. Being an avid motorcycle rider and enthusiast and a person who has had a motorcycle stolen in the past, I know too well the pain and pitfalls of the loss of a motorcycle and the crazy insurance costs and excesses associated. For a $12,999 motorcycle I received a cheque for only $7,000 not only did I have premium excess, because I was only 19 I had an age excess as well. I was also told value of my 3 month old bike was $9,150, because that's all they pay Kawasaki for a brand new replacement bike. $9,150 - $2,150 excesses = $7000 Really? WTF. I remember the event like it was yesterday, I had ridden to the shopping centre to do some shopping, I parked with all the other motorcycles and I locked my helmet with the bike. After about an hour I returned to where I parked my motorcycle, only to find it was not there. I thought to myself did I ride today? I had my motorcycle jacket on so I had. Then the rest played out as you would expect, called the police, insurance company, girlfriend to pick me up etc, etc. I also remember that insurance company not paying for my helmet and accessories I had fitted to the bike. Dynojet Kit, Pod Filters, Gear Sack Rack, etc, etc. If I had a GPS tracker fitted to my motorcycle not only would my insurance premium been lower, the chances of recovering my motorcycle would have been massively increased and I would have got my accessories back. Now I have a EFG02 GPS tracking device fitted to my motorcycle, it is compact, very powerful and very easily hidden and I always know where my bike is.